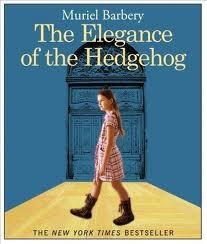 Muriel Barberry's best-selling novel, The Elegance of the Hedgehog, described by Caron James in the Sunday Book Review on September 5, 2008 for The New York Times as a book that, "belongs to a distinct subgenre: the accessible book that flatter readers with its intellectual veneer. (Alain de Botton's handy guide "How Proust Can Change Your Life" comes to mind.)" Her novel "The Elegance of the Hedgehog" is a philosophical tale about class differences and a relationship between two unlikely characters, Renee, the concierge in an elegant Parisian apartment and Paloma, a twelve-year old genius girl. This extremely popular French book, has reached across the Atlantic to entertain and delight us "Americans" with it profound and tender reflections on beauty, art and life's deepest mysteries. Please comment on The Elegance of the Hedgehog on BExtraordinaire Blog. Together we can better understand what this novel is all about through a shared conversation.